This great giveaway will end tonight at midnight EST. Don't miss your chance to enter this LOW ENTRY giveaway for your chance to win! i would love to win this-but how do u enter? I would love this but I do not see any directions how to enter. 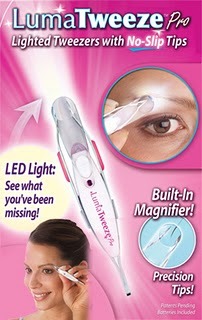 Simply click on the "As Seen on TV: Luma Tweeze Giveaway (7/7)" in the article and it will take you to the giveaway. You can click on the link on the left side of the main blog page listed under CURRENT Giveaways!